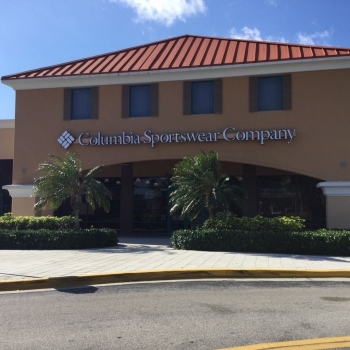 Though a city known for its motorsports, you’ll want to slow down long enough to visit the new Columbia Sportswear store at Tanger Outlets – Daytona Beach. It’s all about outdoor recreation in Daytona Beach, and Columbia has everyone in this Atlantic coast city covered, whether you’re strolling the hard-packed sandy beaches, fishing or boating the Intercoastal Waterway, golfing the world-class courses, or heading out to the theme parks just an hour away. Columbia gear will keep you cool and protected for anything you choose to do at the beach - Daytona Beach, of course. Columbia has been creating innovative apparel, footwear, accessories and equipment for outdoor enthusiasts since 1938. Columbia has become a leading global brand by channeling the company’s passion for the outdoors and innovative spirit into technologies and performance products that keep people warm, dry, cool and protected year-round.